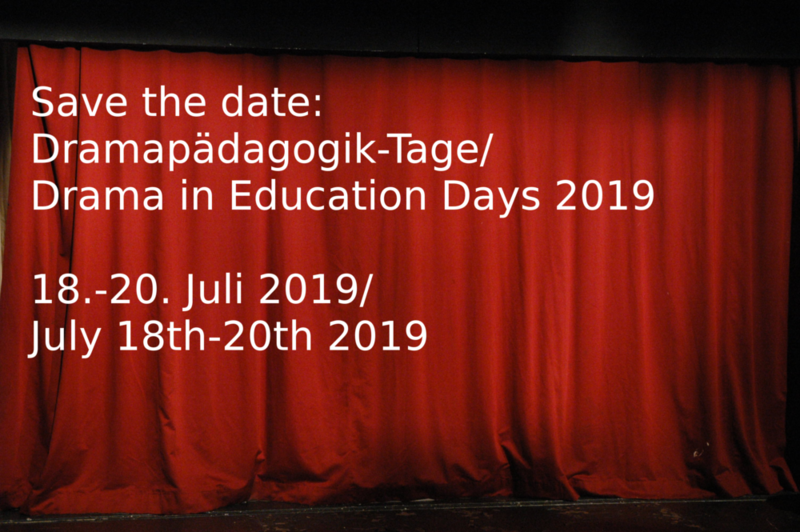 The 22nd DRAMA / THEATER IN EDUCATION: Applied Drama / Theater Conference 2019 will ask: How can art and culture (in particular theater) realize European identity? 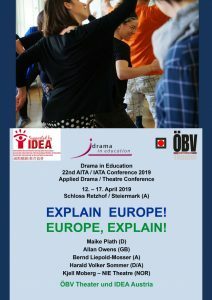 The participants of DRAMA IN EDUCATION will deal with different aspects of the European idea and develop artistic-theatrical approaches to concretize a European identity. The participants of the conference will spend five exciting days together with the lecturers analyzing European developments and perspectives. as an outsider as well as an insider. Maybe we can use our theatrical instruments to help shape the Europe in which we want to live.